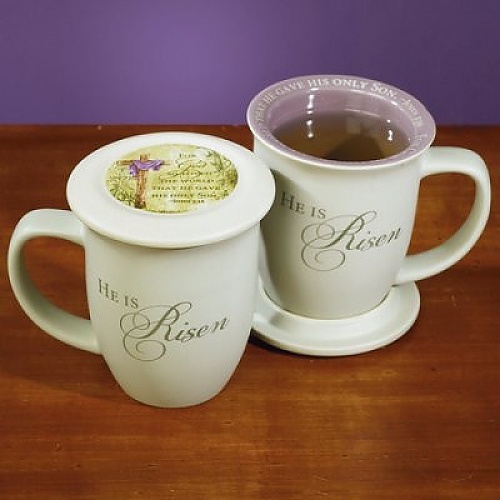 The inspirational mugs in this special Christian gift basket are perfect for sipping some of the gourmet coffee with a friend. This is a gift that will truly be appreciated. 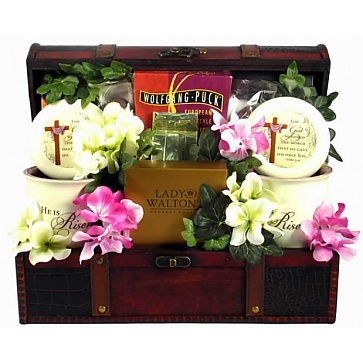 This is a stunning gift arrangement that will make a wonderful surprise for your almost anyone on your gift list! It features a handsome trunk filled with a host of delicious gourmet goodies and two very beautiful ceramic mugs with coasters. They will absolutely love this gift and your thoughtfulness for sending it!! !